GPS #12: King Alfred, a ‘Spiritual Magna Carta’ for Britain – and for the world! AND NOW, my reader, may you be thoroughly blessed with what you’re about to read. May it resonate within your spirit when you understand how very timely what two sisters in the Lord on opposite sides of the Atlantic posted as coming from Him, whilst this post was being drafted and edited in tandem by myself and Suzanne Ferrett over the course of the past week. Part 3 of GPS#11 refers to my chat with Suzanne at February’s mentoring day. She told me about her watchman ministry based upon a spiritual version of the Magna Carta. Upon writing that post, I began to understand how it not only relates directly to Liz Evan’s prophetic word on castles re-published after New Year, but also to my researches twenty years ago on the history of Reading Abbey when I learned about King Alfred’s battles against the Danes in the Thames Valley, and of his establishing Christian government in Saxon England. 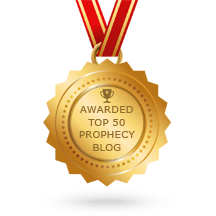 What I don’t divulge in that blog, is that I saw the relevance of what Dr Sharon Stone had brought a few hours earlier, on the new empowerment of having “teeth of a threshing-sledge”, as also applying to intercessors who, like Suzanne, use the principles of decrees and declarations (see this blog’s Introduction to Prophecy). It was my firm intention to blog about her work the week after our conversation, but the impact of that day’s teaching in confirming what I’d discerned for this blog at the New Year led to my focusing upon its goal of ‘Looking for signs of Jesus return’. Hence, the several posts about ‘watching’ and ‘signs’ in the first week of February, and setting up as main-menu hubs – notwithstanding the incoming ‘GPS’!! Then, Suzanne emailed that she would be talking on ‘Watching’ that very weekend at the Lenchwood Christian Centre… ‘wotta God-incidence’!! Suzanne’s ministry is ‘multi-faceted, teaching and equipping the church, bringing it into the new, training on how to use authority in prayer and being watchmen, thereby mixing the prophetic and intercessory’. She has long-standing friendships with Dr Sharon and with Rachel Hickson – see her remarkable Heartcry For Change. As a result of a strong dream from God, Rachel established the M25 PrayerNet in 1997, of which Suzanne was a sector leader as well as running a city and county-wide prayer network in Hertfordshire for 12 years. In 2008, she and husband Frank moved to Worcestershire and headed up ministry at the Lenchwood Christian Centre, where she continues to run seminars and ministry events, and pastored a local church whilst there. Passion for the Nation seeks to communicate and take hold of what I believe is a Kingdom opportunity, an appointed time, to see all that God desires released into our land and to transform our nation for the next season. One aspect of implementing that vision is to release the sound of the Word of God as Declarations and Decrees over the nation every week, that have the power to change the atmosphere and to plant the heavens with God’s ‘now’ purposes that, as God shakes our nation in many ways, from Government and long-established institutions, to communities and homes, the Kingdom of God will be built in our land. I’m calling to My church now to listen to the sound. That word brought a focus and a clarity to some of the other things I was hearing and seeing, as I recognised this was about the battle which is in the spiritual realm over our land. For many people it is now very obvious, but in 2015 things were less obvious. For a period of time, God had been speaking to me about the authority we carry in the place of prayer and how many in the church had relinquished that authority, or simply not understood – what I would now call the Ekklesia message. During that season, my husband and I moved to Windsor and, in June 2015, initiated a convocation in partnership with others to celebrate the 800th anniversary of the Magna Carta. However, we did not only want to look backwards but also to start to look forward to see what God would do in the future. I began to understand that, although the Magna Carta had shaped the nation for nearly 800 years, in the natural it had limited success and only lasted a short time in its original form. As the centuries passed those in power would bring it back into significance as they saw the need. As we celebrated the past and looked towards the future, I felt God showed me several things. Firstly, as His people step up into all He has called us to be, just as the tabernacle on earth was only a shadow of the one in heaven, so what we have seen of Godly Government in the past can become only a shadow of what He will do in the future through His people ruling and reigning in prayer (Hebrews 8:5). Secondly, as we begin releasing His purposes into the atmosphere, no matter what is immediately visible, the declarations have the power to shape the nation for the season ahead, alongside more immediate changes. A large proportion of the declarations and decrees are on national issues, such as media, the Monarchy or Government and Brexit, and are taken from two positions: firstly, from a Kingdom perspective and are essentially non-political, but also they are focused on praying the Word of God. This is also a time, though, when we are on the brink of a tremendous move of the Spirit, so some declarations focus on the call to pray that the promised Revival is released in our nation with all its fullness. As I started to formulate the idea of sending out declarations over the nation, I sent a sample to Rachel who was ministering in America at that time. She responded with the comment that, as she was reading the declarations I’d sent, she had received an email from an Hawaiian friend living in Canada, who wrote that she knew someone who needed to write a Spiritual Magna Carta for England; or, in other terms, a blueprint for what it would look like if the fullness of the Kingdom of God came to our land (see below). This is a season when God’s eyes are upon nations and He is releasing new revelation in great measure; that revelation needs to be imparted, received and established and so Passion for the Nation carries a number of aspects: most obviously, declaring the Kingdom over our land so that God’s design and will in all situations is established, but it also operates as a watchman/ intercessory network and carries an element of teaching and training. Written in the year 2016, decreed and declared by Your people across the United Kingdom in June of that year – to shape and establish the government and fabric of our nation for this generation and the generations to come. That the Name of Jesus be exalted in the nation above any other name, the sovereign purpose for the UK fulfilled and the Kingdom of God in all its variety and fullness, become increasingly established …(click/tap to continue reading). To read more visit Passion For The Nation website (link below), where you can sign-up to receive regular declarations for praying for Britain. On 800th Anniversary of The Magna Carta – or should it be 1,400th? M_Carta tag for more references. Walking home with today’s Daily Telegraph in hand I spotted this ‘stop-press’ News Briefing down its left-hand side. Instantly, I’m amused at how the linkage in our spiritual and political lives, as blogged earlier, is now showing synchronicity in the troubles our Prime Minister and the US President are both having with their own people, not the public. We can discern the ‘devil’ in the detail – and it’s being especially provocative over the essence of our ‘Englishness’ – the law of the land based upon Magna Carta versus European Court of Justice. Ours presumes ‘innocent until proven guilty’ out of which grew a globally-championed Common Law. But European-Napoleonic law is different, as Dave Chapman highlights in his briefing paper EU – There is an Alternative. Moreover, in my musing over the possibility of that devil doing a double-trial run in both the established church and our secular government for the purpose of testing out if it could circumvent the fulfillment of prophetic scripture, I cited two Parliamentarians as its unwitting ‘stooges’. One of these is Speaker of the House of Commons John Bercow, whom I saw almost trip over himself to grovel at Obama during his state visit! He is the one responsible for silencing Big Ben! ‘…if the two Parliamentary committees whose job is to oversee the administration of the Palace of Westminster were unaware of the full implications of the work, who took it upon themselves to proceed? Let’s pray there will be a specific action that’s unmistakably of our Almighty God.